I have a confession to make: in the more than two years that we are now running this blog, Russell and I have actually never met in person! Russell has links with the Netherlands; and, even worse, I was in London twice during the last 5 months alone. But the closest that we came to meeting was during a recent episode of TRT World’s ‘Roundtable’ on Brexit, in which we both appeared – but in my case only via Skype. While Russell and I clearly need to work on our relationship, both of us appearing in the same programme also made me think about the role of experts in contemporary society. According to the Oxford online dictionary an expert is “A person who is very knowledgeable about or skilful in a particular area.” Experts have gained an important role in society. They, for instance, are a key source of information for EU institutions and other administrative and political bodies. And although Michael Gove (in)famously claimed that people “have had enough of experts”, those same experts are continuously asked to comment on contemporary developments – both Russell and I have regularly been asked to comment on Brexit in media at local, regional, national and international level. Discussing the same topic during the same television programme creates an acute sense of awareness of your role as an expert. People expect us to say and write knowledgeable stuff, but maybe when it comes to Brexit we are also slowly running out of ammunition. Brexit is, of course, an unprecedented development. States and territories have left the EU and its predecessors before, or have left member-states and thus became non-members by default (Algeria became independent from France in 1962; Greenland, in 1985, and Saint Barthélemy, in 2012, withdrew to become so-called overseas countries and territories of the EU). And, let’s not forget, other countries decided to refrain from membership or withdrew their applications, such as Iceland, Norway and Switzerland. Yet, his is the first time ever that a prominent member state is leaving the EU. 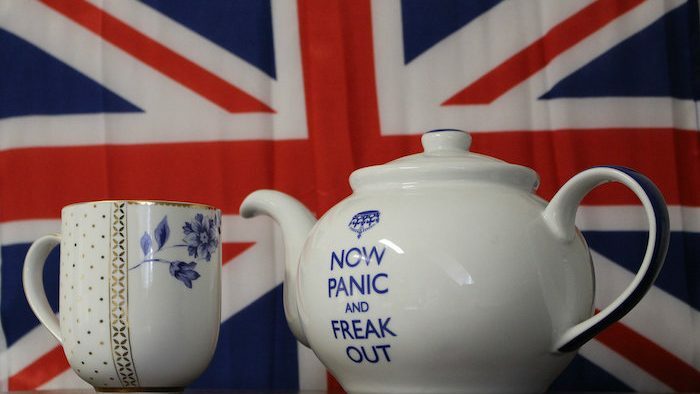 Perhaps Brexit is not that much of a surprise given that Britain has always been an ‘awkward partner’, but it is difficult to predict what Brexit really means. Brexit means Brexit, right? But what will Brexit actually look like and what will be its consequences? Even we ‘experts’ don’t know anymore. Consider the many options that are now on the table, some which many people had not expected at all. There’s the EU-UK deal with the (in)famous ‘backstop’, which currently doesn’t receive enough support from either parliament nor the people on the street. Theresa May’s Plan B seems to be Plan A turned on its back, with the EU not willing to budge. And then there’s the no-deal Brexit scenario, which all but a few hard Brexiteers – those are among the Brexiteers with a “special place in hell” – seem to want to avoid. Even a no-Brexit scenario, although not very likely, is not completely of the table, certainly since calls for a second referendum or a general election are still out there. And then there’s the post-Brexit world. Even in a scenario where the EU and the UK agree to a deal after all, this is only the first step in setting up their future relationship. What will that relationship look like? And will the EU27 remain as unified as they currently are when having to negotiate a trade deal with the UK? We are charting new territory here. Experts answering these questions should perhaps say that we do not always know either. Mind you, I am not bored of Brexit and can surely speculate about it based on what I do know. But we should also not be afraid to admit that we don’t know everything.